With the increased number of low Earth orbit (LEO) satellites equipped with global navigation satellite system (GNSS) receiver, the LEO based GNSS slant total electron content (TEC) and electron density profile (EDP) data play an increasingly important role in space weather and ionospheric research due to improved global coverage. China Seismo-Electromagnetic Satellite (CSES), which was launched in February 2018, is equipped with GNSS receiver for either precise orbit determination (POD) and ionospheric inversion. 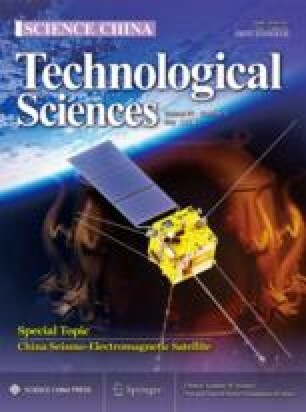 The purpose of the present paper is to validate CSES GNSS ionospheric inversion technique based on the real observations and verify the accuracy of TEC and EDP retrieval based on the simulated data. The following conclusions can be drawn: the epoch difference inversion (EDI) derived from CSES can successfully retrieve the EDPs without non-occultation side measurements; the technique of EDI and the calibrated TEC inversion (CTI) have similar behaviors in inversion errors, however, the retrieved NmF2 and hmF2 have a larger systematic error surrounding the equatorial ionization anomaly (EIA) where the assumption of spherical symmetry is often invalid; the precision and accuracy of retrieved TEC have been investigated in the paper based on the simulated data, and it is found that the accuracy of the retrieved TEC is relative to solar activity: the lower the F10.7 index, the higher the accuracy of retrieved TEC.